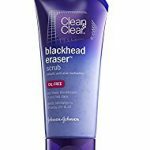 This product is a great alternative to treat acne if you are getting less than successful results with Benzoyl Peroxide and/or Salicylic acid. Glycolic Acid was made to exfoliate, hydrate and clean the skin. It is considered a great product to try for those who aren’t seeing many results with the conventional chemicals usually used when dealing with acne. Glycolic acid is not necessarily an acne fighting treatment, it is mostly used for cleaning your skin without irritation or drying. It can also be used for shaving, leaving your skin refreshed and clean. Some people also use this product as a regular acne treatment, applying it and leaving it on the skin overnight. Glycolic acid is one of those products that while it isn’t truly considered an acne treatment, many people has seen great results due to its ability to exfoliate and clean your skin. 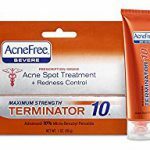 There are a ton of reviews in Amazon from people with all acne types getting great results with this product when treating their acne. Many people use it as a supplementary treatment, using it as a refreshing exfoliating wash and then applying a more conventional Acne treatment. If you are not getting great results with some of the acne products you have tried, using this wash before applying these products could enhance their effectiveness by opening the pores and cleaning skin dirt more effectively. Certainly, I do recommend you try this product while shaving. You can use it on your face, bikini line, or underarms, it is a very refreshing shave. If used for cleansing apply the product when your skin is dry, massage the area for a few seconds then let it sit for a few more. Rinse with water while massaging and feel the tingling in your skin. If used for shaving apply the product when your skin is wet, let it sit for 10 seconds then shave as usual. You can also try and apply it leaving it on for 10 minutes then washing it off. Try this if you can handle it, sensitive skin might not be able to take this, but some people have seen amazing results by leaving it on a few minutes. Of course is best to do this at night and I have heard cases of people leaving it overnight, but I would advice against it. Like always, do not forget the importance of moisturizer, you can find the best one in the Red/Dry Skin page. While this product does moisturize it does not have the SPF protection acne prone or scarred skin needs. Click on Aqua Glycolic for more information, this product is a truly interesting alternative for acne treatment, some people have seen great results just by using alone and some people have seen amazing results by combining it to their current acne treatment. Either way this product is worth the try, the benefit of exfoliating, hydrating and cleaning the skin makes this a great tool for your treatment. If you have any questions or comments, please don’t hesitate to write and I’m certain this product will help you on your path to Beautiful Clear Skin. Glycolic acid works! I use it in conjunction with benzoyl peroxide to keep my skin acne free. You have to make sure to wear a sunscreen though, as it will make your skin more susceptible to sun damage. Can you elaborate on how glycolic acid works, for anyone who may be unaware? That is true, which is why I always recommend my favorite moisturizer which also has great sun protection (SPF 30) found here as a must have product. Glycolic acid is the smallest Alpha Hydroxy Acid (AHA) which allows for it to penetrate the skin easily. It is most often used for chemical peels exfoliating, stimulating and removing dead skin. Since it is an acid and can penetrate the skin easily it basically burns the surface of the skin making the body start the healing process and thus making new skin on the area. 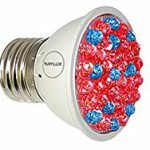 A very good product to use if proper care is used, thanks for reading.